The last Krag variant - the NRA-DCM 22-inch barreled carbine, which turned out to be an ideal size for hunters. The Krag-Jorgensen .30-40 is a historically significant rifle in that it transitioned the U.S. military from black powder to smokeless. It started looking at it in 1878, a scant two years after the defeat of General George Custer at Little Bighorn. 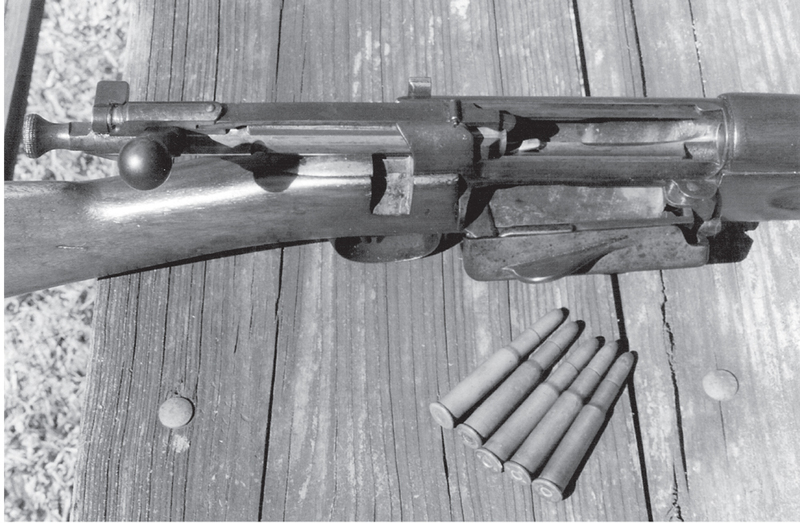 By 1892, the Krag had officially been adopted by modern militaries and put into production. In The Last Krag, a feature article appearing in the 2013 edition of Gun Digest, John Malloy looks at the final variant of this important military gun, the NRA-DCM 22-inch barreled carbine. But if you’re not familiar with the Krag-Jorgensen, here are 5 interesting facts that make it a no-brainer for the military gun collector. As Malloy points out, “The Krag-Jorgensen rifle, often simply called the ‘Krag,’ had an interesting place in our nation’s history,” he writes. The unique Krag magazine, shown here with the right-side cover open, held five cartridges. The American Krag used the .30-40 Krag cartridge, and five original military cartridges are shown near the rifle. The Krag magazine could be loaded with the bolt either open or closed. Gun Digest the Magazine, Gun Digest Books, GunDigest.com, GunDigestStore.com, Modern Shooter magazine and Modern Shooter TV (coming soon!) are all built upon the 70+ years the Gun Digest brand has delivered the best firearms resources and products. Now you can harness that same legacy by becoming a Gun Digest Affiliate. I HAVE 2 OF THEM AND THEY ARE GREAT SHOOTERS.